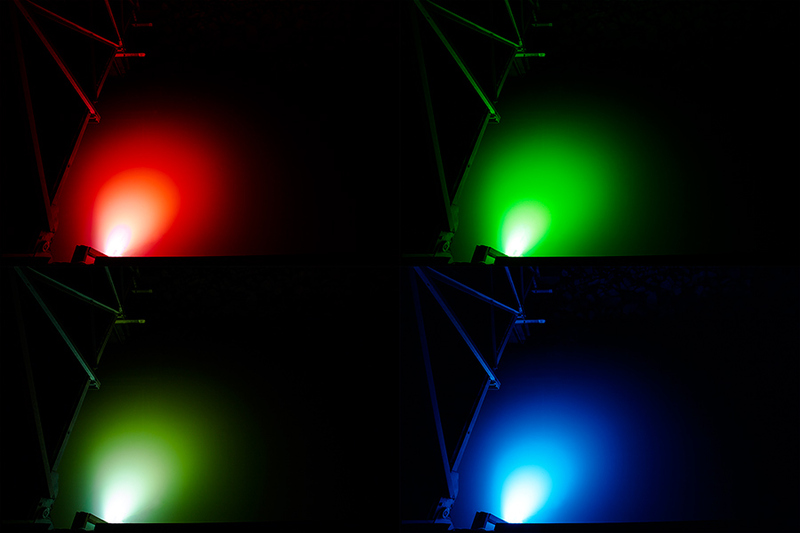 LED Underwater Boat Lights and Dock Lights - Single Lens - 60W: Shown On In White, Blue, Red, And Green. 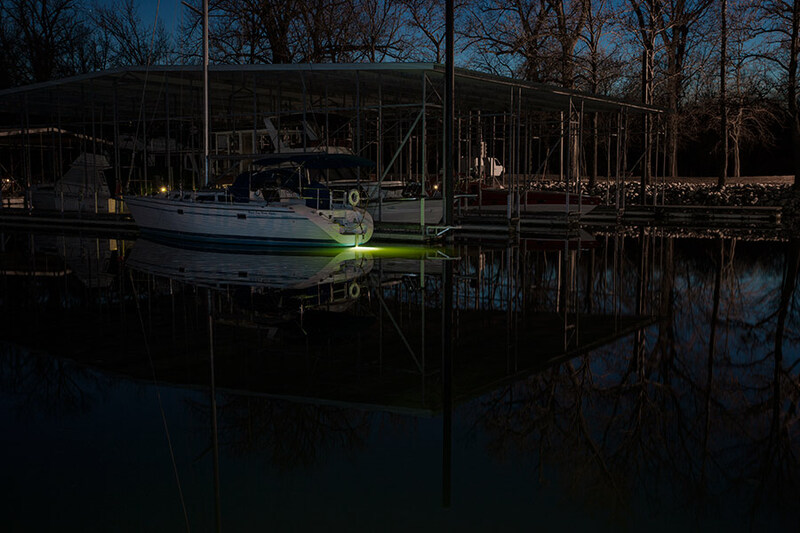 LED Underwater Boat Lights and Dock Lights - Single Lens - 60W: Showing Beam Pattern In White And Approximate Beam Distance In Murky Water. 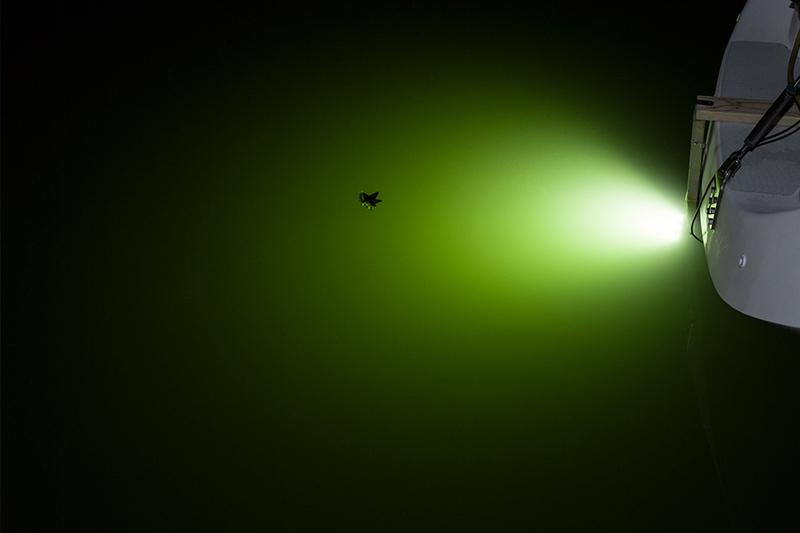 Green Tint Is From Mississippi River Water. 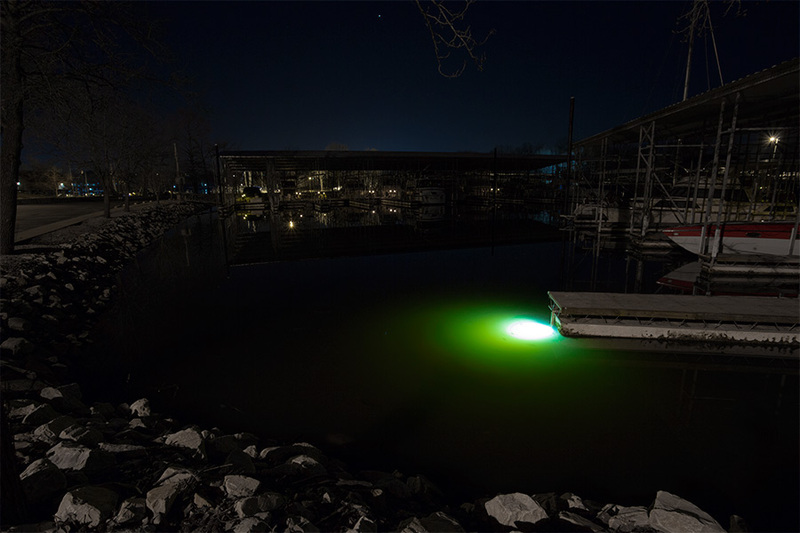 LED Underwater Boat Lights and Dock Lights - Single Lens - 60W: Shown Installed On Dock In Red, Green, White, And Blue. Note Green Hue On White Version (Bottom Left) Is Due To Water Color. 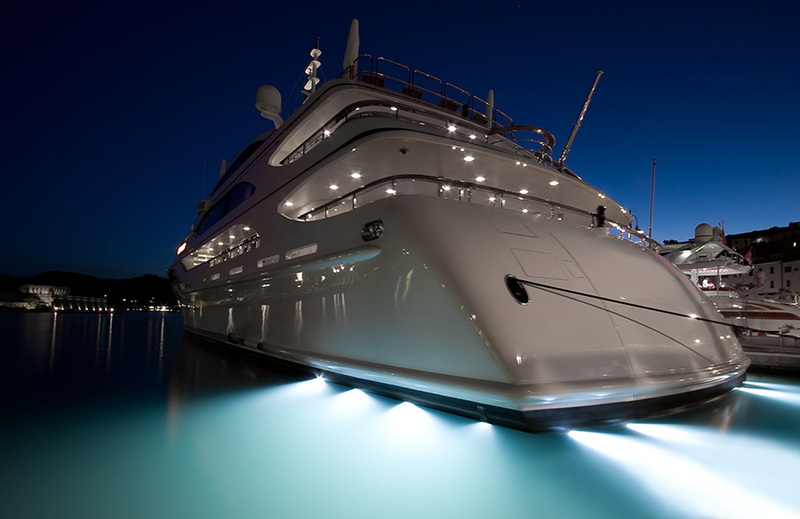 LED Underwater Lights for Boats and Docks - 60W: Shown On Yacht Stern In White. 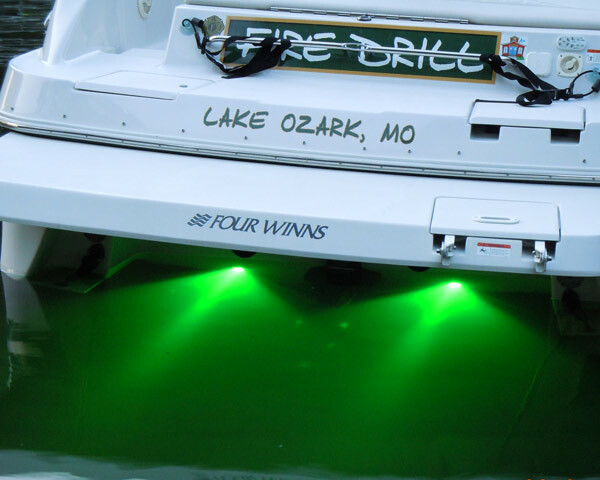 LED Underwater Boat Light - Single Lens - 60W: Shown Installed On Stern Of Boat In Blue, Green, Red, And White. 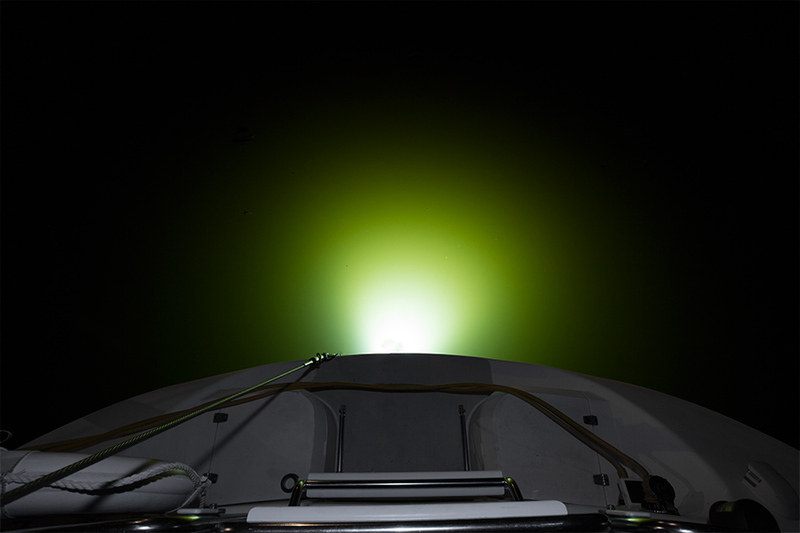 LED Underwater Boat Lights and Dock Lights - Single Lens - 60W: Showing Beam Pattern Off Of The Stern Of A Sailboat In White. Green Tint Is From Mississippi River Water. 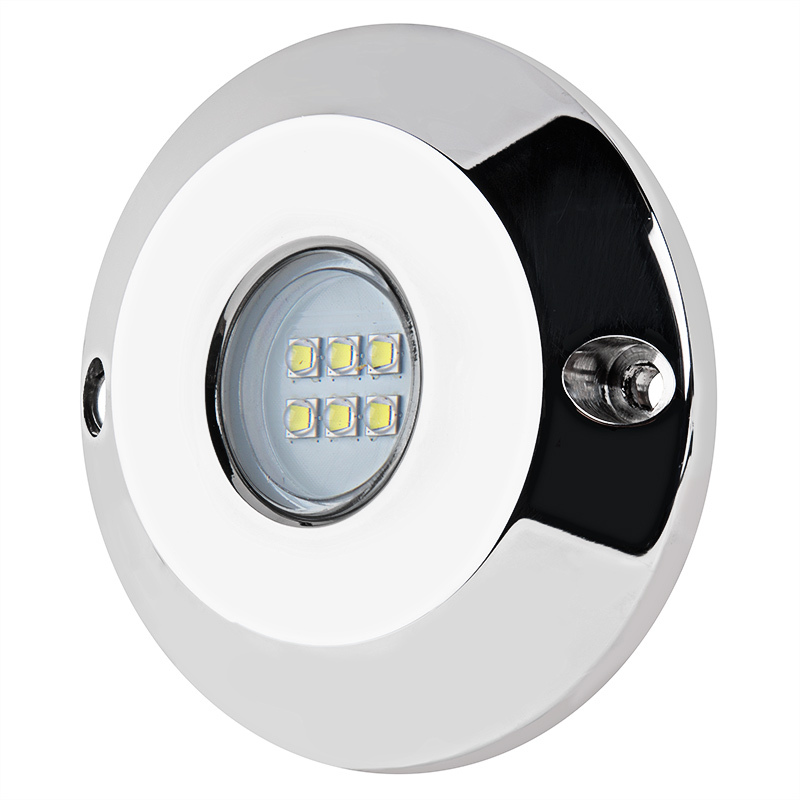 LED Underwater Boat Lights and Dock Lights - Single Lens - 60W: Shown Installed On Dock In White. Green Tint Is From Mississippi River Water. 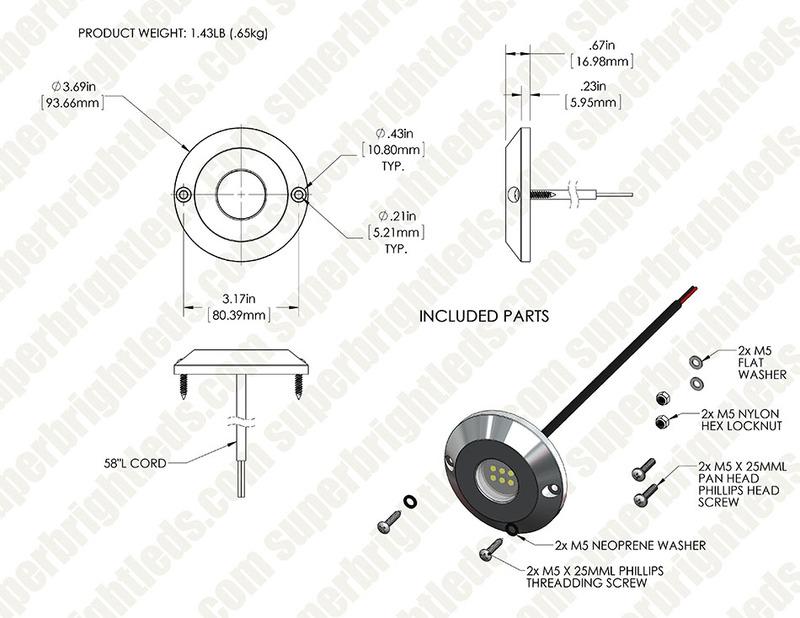 LED Underwater Boat Lights and Dock Lights - Single Lens - 60W: Showing Light Installed On Back Of Boat. 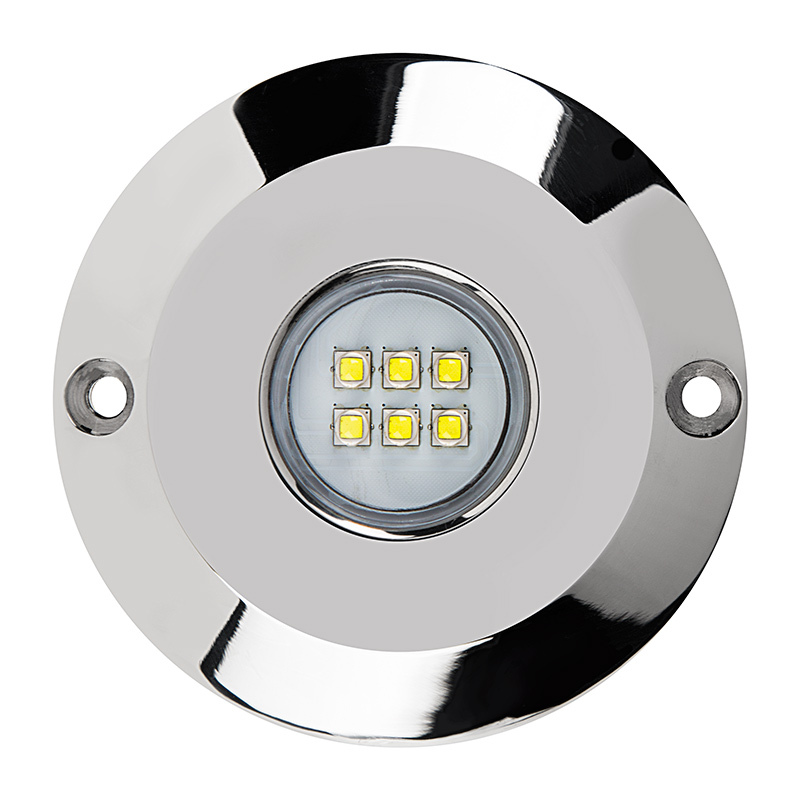 LED Underwater Boat Lights and Dock Lights - Single Lens - 60W: Temporary Install On Stern Of Sail Boat In White. Green Tint Is From Mississippi River Water. 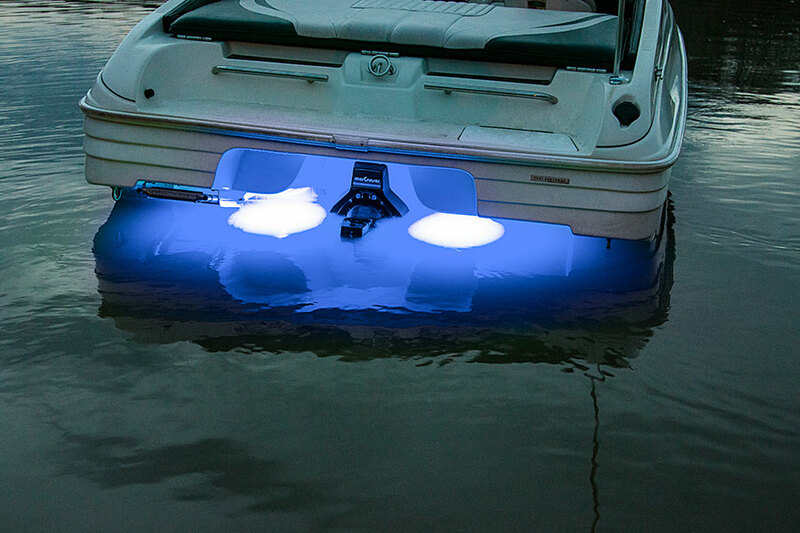 These LED underwater boat lights function as transom lights and are also great for dock lighting. 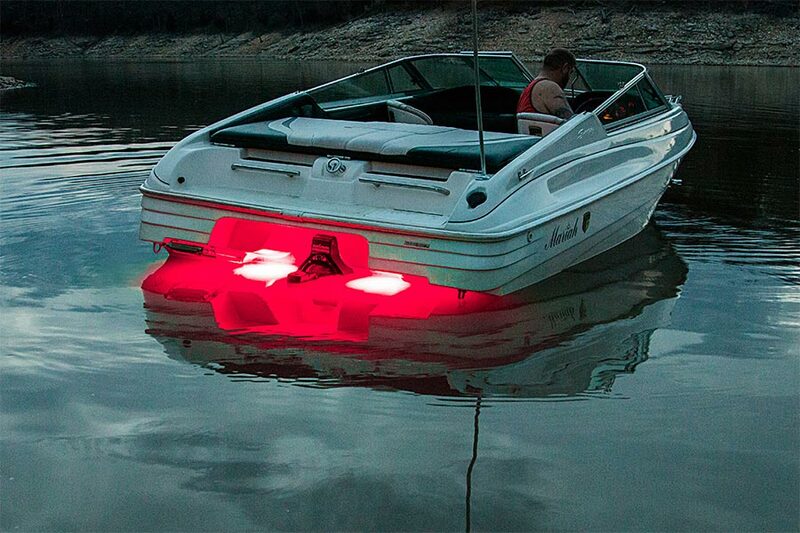 Use this durable LED boat light to add color to your wake, attract fish, or for nighttime swimming and diving. 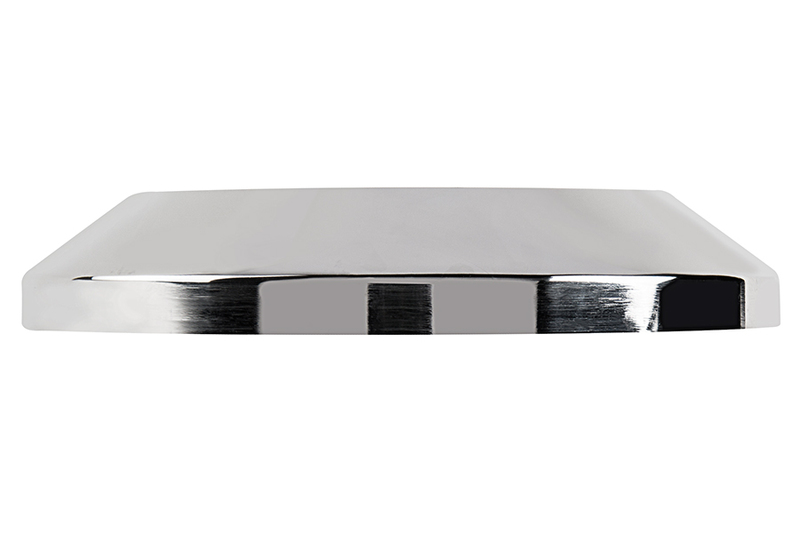 The vibration- and shock-resistant underwater boat light has a 316 marine-grade stainless steel housing with a shatterproof polycarbonate lens. 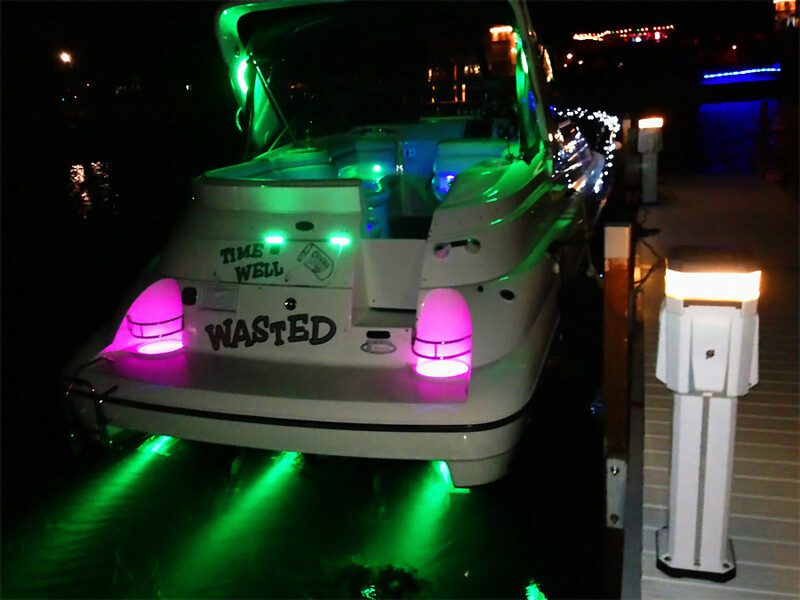 This boat light uses 6 LEDs to produce white illumination or 12 LEDs for red, green, or blue illumination. 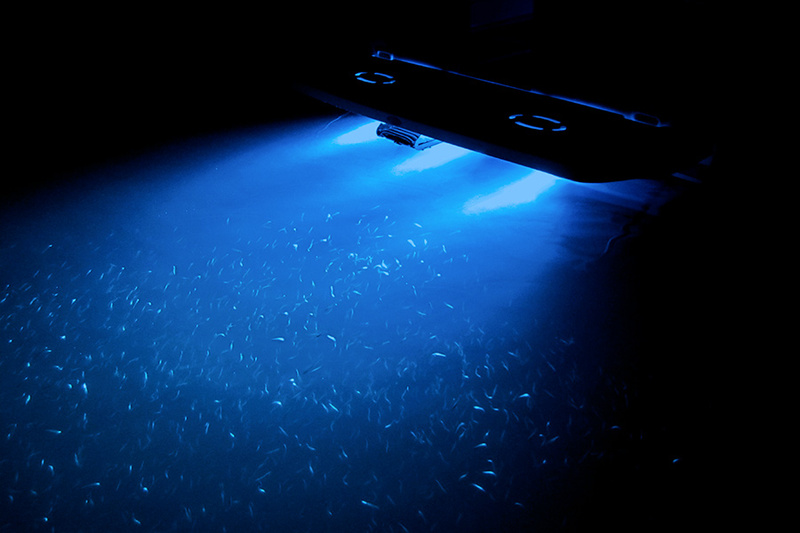 The 60-watt underwater LED boat light operates within a wide 9-32V DC range. 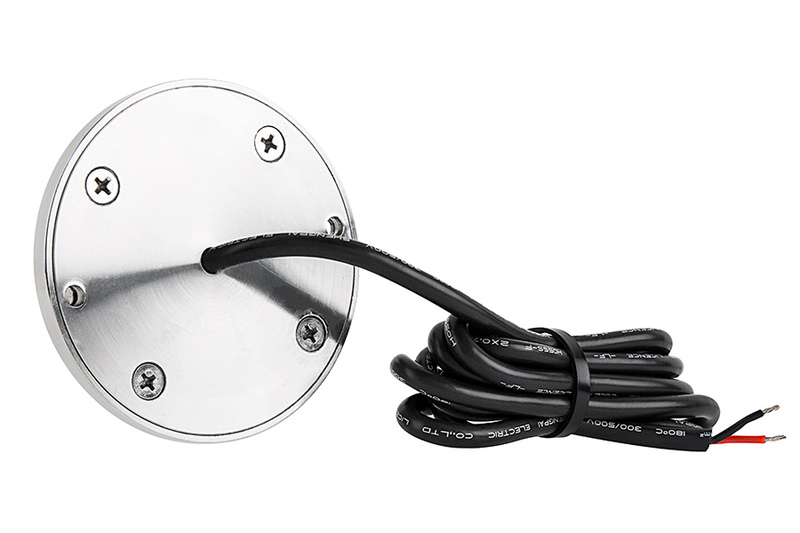 Installation hardware is included for surface-mounting on a variety of transom types, or install on your boat's trim tab with a mounting bracket (sold separately). 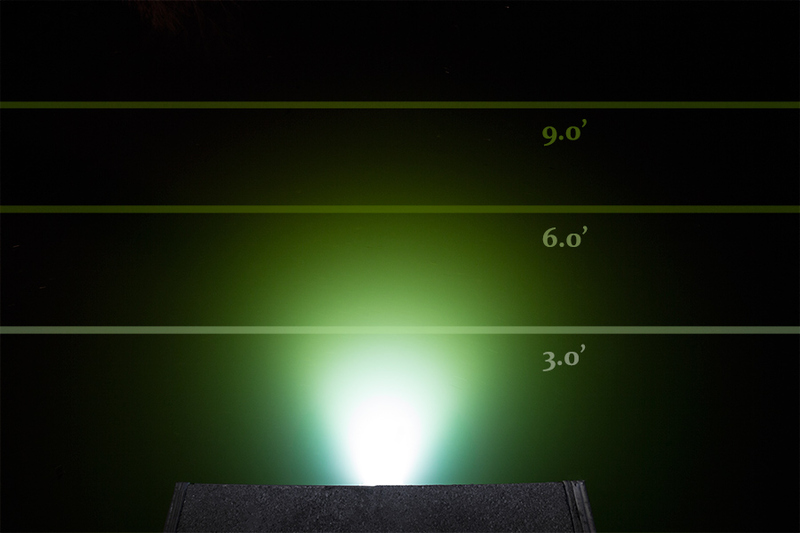 This LED light must be submerged to function properly; to prevent failure, a built-in temperature protection circuit powers the light off if it reaches 194°F. Do not run the light for more than 2 minutes out of water. 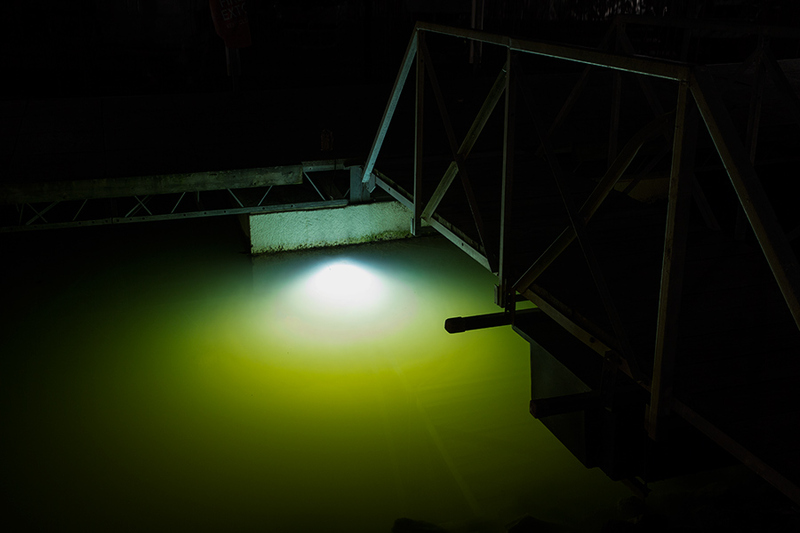 These lights are specifically designed to be used while underwater. Lights must be submerged to avoid overheating. 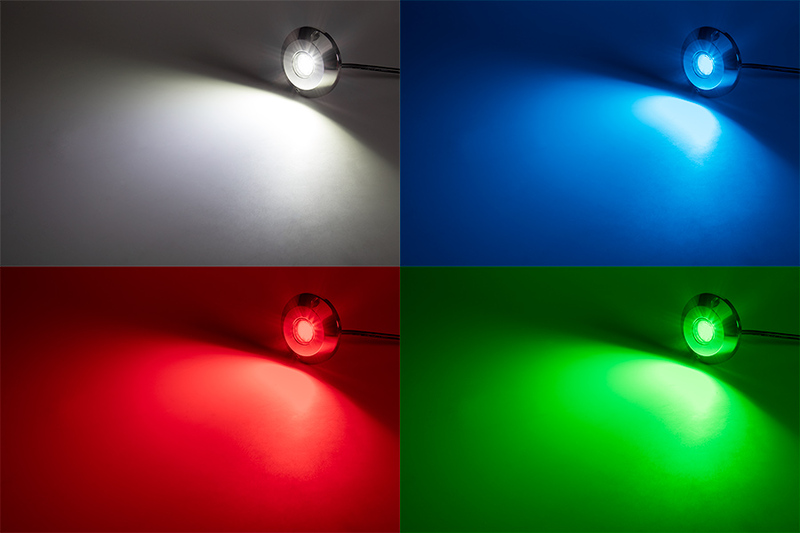 Using these lights out of water will decrease the lifetime of the LEDs and cause early failure. You may operate for up to 2 minutes for testing but do not operate lights out of water for more than 2 minutes.